Both of the boys *LOVE* Superman. They run, jump, save people in distress...and sing the theme song by heart. Oh, and Daddy often helps them fly. Oliver received a handmade cape from our friend Bethany for his birthday. But poor little Bennett was so sad he didn't have one too. So, in my own homemade fashion, I found one of Brian's undershirts shirts, pinned it and voila! 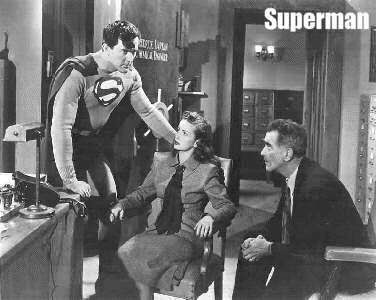 I know that one day I will have to explain that, in addition to Santa and the Tooth Fairy, Superman is not real. But, thankfully, I won't have to do that any time soon. It is obvious that he is very real to their little Superman-loving hearts. I saw the title of the post and the first picture of Bennett, and thought "no, it's a little Brian." Daddy must be so proud. Love, love, love this!!! It reminds me of that photo from your wedding where Brian had the Superman shirt under his tux. It looks like the Superman love continues on! So funny. I didn't even know Superman had a theme song. Don't tell your husband, he will think I'm crazy!